OpenAI  is a non-profit, privately funded research institution in San Francisco, where I work with about 60 other employees on machine learning and artificial intelligence. In concrete terms, my colleagues are examining how to teach a computer new behavioral patterns through experience, without being deliberately programmed to handle a task. Contributors include Elon Musk (Tesla, SpaceX)  and Sam Altman (Y Combinator) , among others. The people of OpenAI contribute academic publications on the web, presentations at conferences, and software for researchers and developers. In this article, I show how OpenAI prepares its Kubernetes cluster to run artificial intelligence experiments across thousands of computers. The company's main focus is on deep learning – that is, researching large neural networks with many layers. In recent years, deep learning has gained importance because it can generally solve extremely complicated problems. For example, the AlphaGo bot, developed by Google's DeepMind, has learned how to play the Chinese board game Go, which is considered to be extremely complicated, with a far wider range of moves than chess. Go experts agreed that it would take at least 20 to 30 years until a computer could beat the best human Go players. However, in the spring of 2016, the AlphaGo deep-learning software defeated the (at that time) top Go player, Lee Sedol, and even a team of five world champions in 2017. In contrast, OpenAI researches algorithms that, unlike AlphaGo, learn not just a single game, but a wide range of tasks. The company recently developed a robot that observes only once how a person does a task previously unknown to the robot; then, Fetch (the robot's internal name) is able to repeat the task in a new environment (Figure 1) . The robot even learned the concepts of gripping and stacking by observing people. 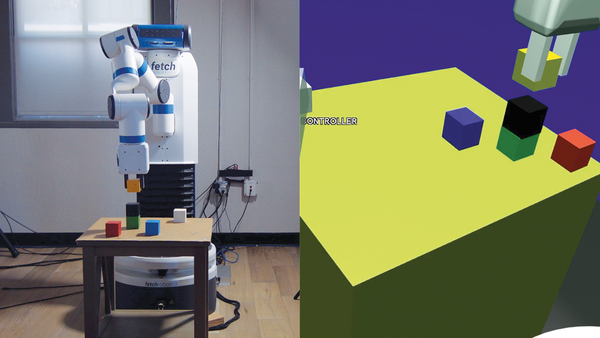 Figure 1: The robot (left) learns how to replicate a structure created by a human (right), but with new block starting positions. 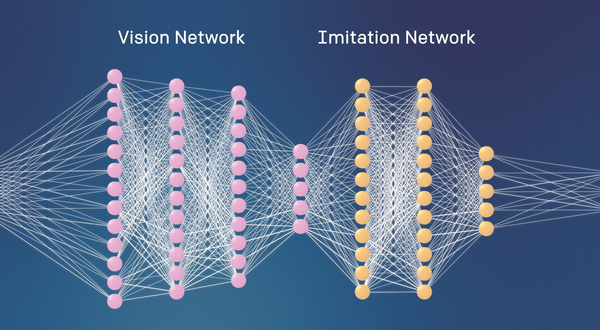 Despite the proven success of Google, Facebook, OpenAI, and various university projects, no one knows what the perfect structure of a deep learning neural network looks like. The question is, which structure is best at allowing a network to learn new skills? The bulk of the research in the company, then, comprises experiments with new learning algorithms and network structures, which require the use of a complex technical infrastructure. OpenAI researches structures (Figure 2) and seeks to find out how data moves through them. Figure 2: A neural network for controlling a robot. The camera image in the mind of the robot "moves" from left to right, resulting in the movement of the robot arm. Performance is vital: A computing neural network requires massive computing power, which is why the project uses graphics processing units (GPUs), for example. Computer topologies must be customizable: The project must be able to implement unforeseen changes in machine structure, such as distributing an originally centralized computation to hundreds of computers. Usage fluctuates rapidly: Researchers commonly try out new methods on a single CPU core for two months and then suddenly need 10,000 cores for two weeks. To achieve the best possible raw performance, the project needs direct access to the hardware as well as to the CPU and accelerators such as GPUs. Modern hypervisors such as Xen run the CPU code natively, but all I/O operations generate administrative overhead. OpenAI needs the maximum bandwidth, in particular for communicating with GPUs via the PCIe bus. Classical virtualization is thus out of the question. On the other hand, a large bare-metal server farm would be a nightmare for users and admins. Instead of relying on one cloud provider, OpenAI researchers use all kinds of providers – Microsoft Azure, Amazon Web Services (AWS), Google Compute Engine (GCE), and our own data centers – for cost savings from volume discounts for thousands of computers, among other things. However, most of our researchers are not Linux or cloud experts; learning three or more cloud APIs is out of the question. Instead, they need tools that empower them to implement their ideas independently, without having to ask engineers for help. The company relies on Docker containers  and Kubernetes  to master this balancing act between usability and performance. Containers let you describe all the dependencies and packages (e.g., TensorFlow ) for an experiment. The container image can be saved as a snapshot and sent via the network, much like a virtual machine (VM). Because of kernel integration, the images have no performance overhead – unlike VMs. The researchers describe their experiments and algorithms as containers and Kubernetes pods. The infrastructure team then ensures that Kubernetes provides the required computers (nodes) to accommodate all the pods. The team is currently running a number of Kubernetes clusters with up to 2,000 nodes. Thus, the company is probably one of the largest Kubernetes users, which means, on the minus side, that Kubernetes (often referred to as Kube) traverses shaky ground and has to fight for stability. To ensure that third parties also benefit from our experience in dealing with helpful Kubernetes data structures and abstractions, I describe in the following section some of the "gotchas" encountered by the team. putting the plan into practice. shows the data structure for a node (Listings 1 and 2) on a running cluster. The labels serve as custom markers in which to store metadata such as the location, type of CPU, and machine equipment. The autoscaler then provides machines with the correct metadata, depending on the requirement.